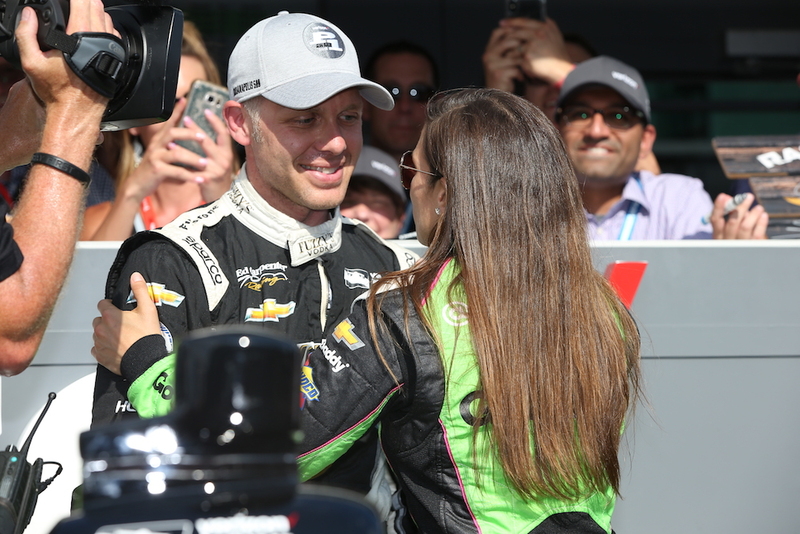 Team owner and racing driver Ed Carpenter of Ed Carpenter Racing has secured the coveted Verizon P1 Award on Pole Day at the Indianapolis Motor Speedway. 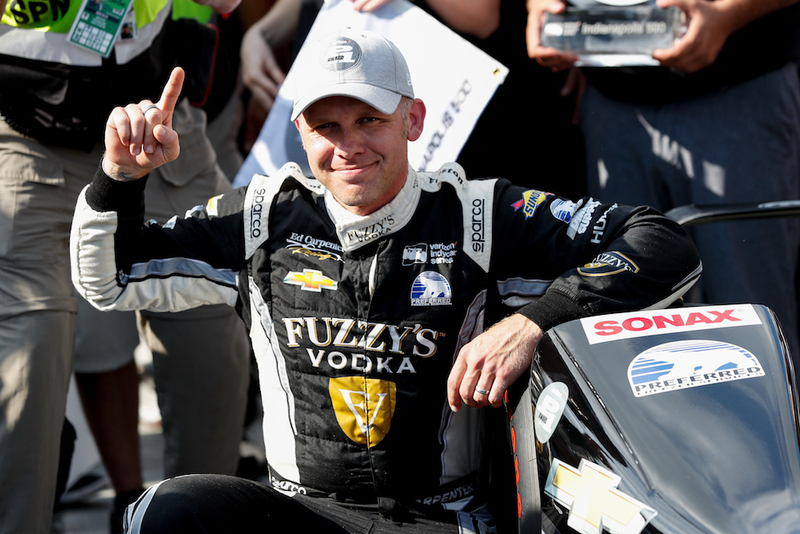 Sunday's accomplishment marks the third pole position for 37-year-old IndyCar veteran. 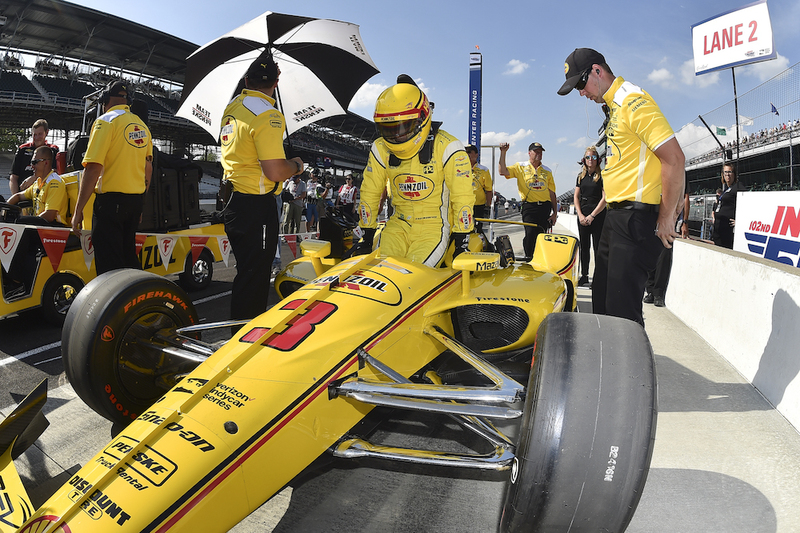 The Indianapolis native was one of the last drivers to take to the track during today's "Fast Nine Shootout," which saw yesterday's top nine drivers do four laps around the 2.5-mile to set their final starting positions for the 102nd running of the Indy 500 next Sunday. Carpenter, who is also the team owner to Danica Patrick and Spencer Pigot, kicked off his run with an impressive lap at 230.088 miles per hour, or the equivalent of only 39.1154 seconds around the Brickyard. By the time his run was complete, Carpenter had eclipsed the Chevrolet of Team Penske's Simon Pagenaud by nearly half a second. "That first lap blew my mind," said Carpenter. "I figured we could run a 229 mph based on last night. The car wasn't nearly as good as we've been. So, I knew had more left but I wasn't expecting a 230 mph, but the whole ECR team, especially the guys on my No. 20 car, they've put so much love into this car and it means everything to me to put us in a position like this. And to be able to share the top nine in this whole thing with Spencer (Pigot), his first time in the top nine with Preferred Freezer, and Danica (Patrick) with GoDaddy, we're super happy to be here and obviously it couldn't be possible without Fuzzy's Vodka. Hopefully, we can keep doing this a long time." Carpenter admitted that Sunday's car was the best he's ever driven, going as far as saying that "the balance was just perfect for all four laps." Another big reason for Carpenter to be ecstatic about next weekend's race is the fact that his other two cars made the top nine, with superstar driver Danica Patrick starting in seventh place and Spencer Pigot in sixth place. "Before I went out, I kept saying I wanted it to be a boring run, well, as boring as it can be when you're going 230 mph or more, said Patrick. "I just wanted everything to be predictable and flow really well. I was able to chase the car with my cockpit adjustments and try and keep the speed in the car the whole run." 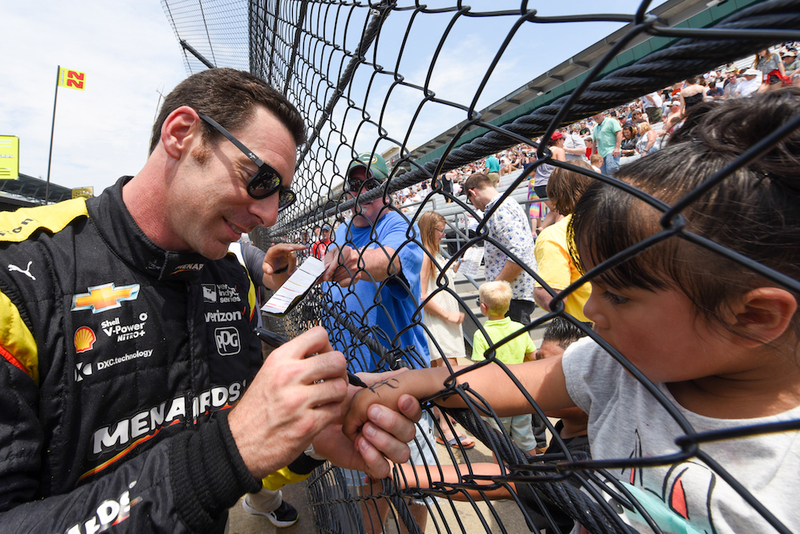 Simon Pagenaud, the highest-qualifying Penske car was positive about his results, and confident the real reward to nearly a month's worth of gambling doesn't come until next Sunday. 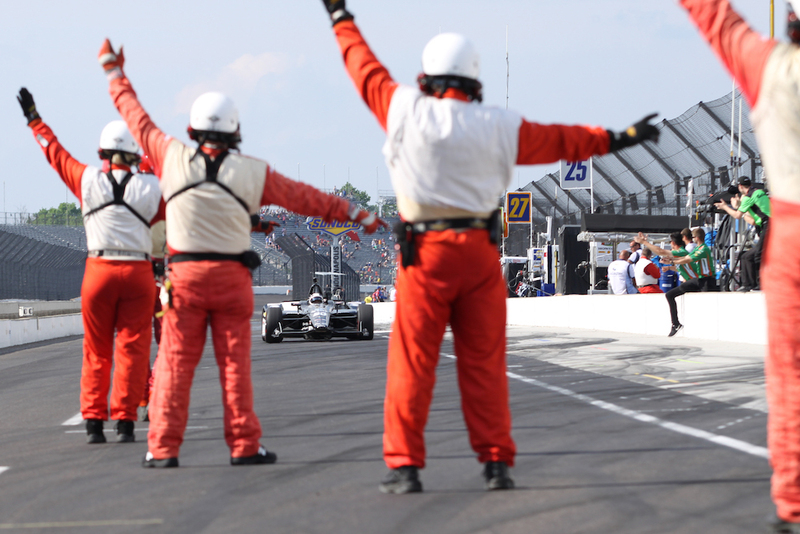 His Penske teammates Newgarden, Power, and Castroneves will start third, fourth and eighth. "We gave our best. It was an incredible run. The No. 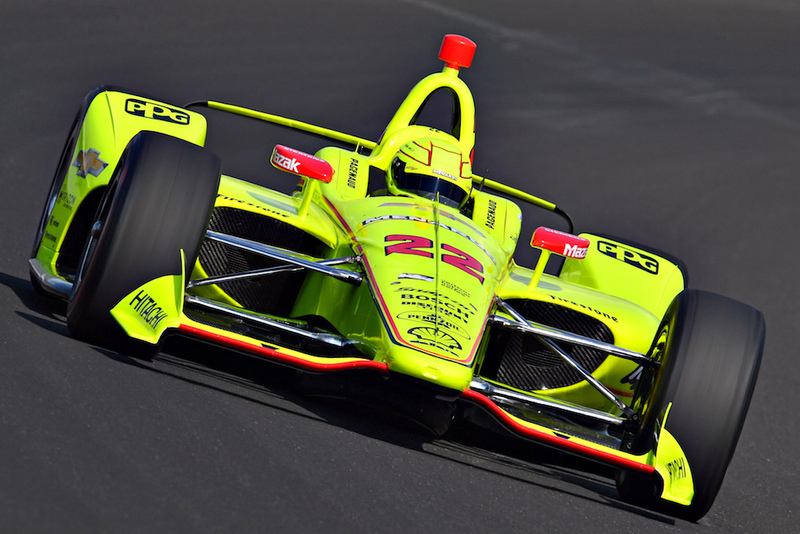 22 Menards team did a phenomenal job on the car yesterday and today," said Pagenaud. "Ed (Carpenter) was just a little faster. It is what it is. It's qualifying, and you try everything you have. I hate the waiting part of qualifying. Waiting is the worst because you don't know what the others have. But we gave everything we had," he said. "It's going to be a front row for us, and I thank the team and Chevrolet for an incredible job. Chevrolet, man, it's incredible what they gave us. Team Penske did an excellent job preparing for this event. I'm super excited." All 33 drivers will have two more outings on the track before Sunday's race, once on Monday and then a brief session once again during Friday's "Carb Day" festivities.